[아시아엔=프라모드 매튜 인도 SPOTFILMS CEO] 2015년 7월, 유엔 사무차장을 역임한 인도의 샤시 타루르 의원은 옥스포드 유니언 강연에서 18세기부터 20세기 초반까지 세계를 호령한 대영제국에 대해 이렇게 평했다. 20세기 초반 영국이 지배령들을 포기하고 퇴각할 당시, 식민지배 하에 있던 국가의 정치인들은 지배층이 남기고 가는 권력을 쟁취하기 위해 영국과 경쟁했다. 그러나 영국은 그 권력을 이양하기도 전에 식민지배의 잔재들을 남기고 떠났고, 그 피해를 보고 있는 국가 중 하나가 인도다. 그리고 70여년이 지난 지금도 인도와 파키스탄은 국경지역인 카슈미르에서 기나긴 영토분쟁을 벌이고 있다. 인도, 중국, 부탄 3국의 접경지대인 도크람(인도명 도카라, 중국명 둥랑)에서 벌어지는 작금의 인도-중국 군사대치도 대영제국의 잔재 중 하나다. 세간에는 최근 중국 군이 부탄으로 이어지는 도로 공사 중단을 거절하자 인도 군이 부탄 군을 지원한다는 명목 하에 사태에 개입한 것으로 알려졌다. 그러나 중국은 국경을 침범해 공사를 방해한 것은 인도 군이었다고 주장해 왔다. 89평방킬로미터의 도크람 고원은 1955년 이래 세 나라가 얽힌 분쟁지역으로 남아있다. 1962년 인도-중국의 국경지역 분쟁을 보도한 호주-영국 출신의 언론인 네빌 맥스웰은 인디안 익스프레스와의 인터뷰에서 “도크람 대치사태의 근원을 밝히기 위해선 역사를 거슬러 올라가야 한다”고 말했다. 인도-티베트의 국경지대 조정과 관련, 인도 초대 총리를 지낸 자와할랄 네루는 “부탄과 맞닿아있는 동쪽 국경은 1914년 영국령 인도와 당시 독립국이었던 티베트가 체결한 심라조약에 따라 설정된 양국 간의 경계선 맥마흔 라인에 의해 정의됐다”고 밝혔다. 인도의 정치인들은 맥마흔 라인을 배제한 중국의 지도가 인도 북동 변경을 중국의 영토로 표기했다는 점을 지적했다. 인도 측은 중국이 지난 30여년간 이를 지속해 왔다며 “인도의 지도는 맥마흔 라인을 토대로 제작됐으며, 우리는 그 누구도 경계를 넘도록 놔두지 않을 것이다”라고 말했다. 맥스웰은 이에 대해 “인도 측의 ‘맥마흔 라인’에 따른 국경선 주장은 인도 북동 전선을 약 70마일(약 112km) 앞으로 당긴 영국의 ‘전향적인 정책’에 근거한다. 이는 영국의 인도 식민지배 최후 10년간 시행된 정책으로, 영국 고위관료 올라프 카로는 적극적인 공세의 정당성을 얻기 위해 거짓 외교문서를 꾸며내기도 했다”고 설명했다. 영국으로부터의 독립 이후 1947년 초대 총리가 된 네루는 카로가 이런 일을 벌이게 된 사정을 어느 정도 이해한 듯 했다. 그러나 정작 또다른 이해관계자 중국 당국은 불과 수년 후 중화인민공화국을 건국하면서 티베트 달라이라마 궁에 보관돼 있던 외교문서를 통해 이 사실을 알게 됐다. 양국의 마찰은 이때부터 예견돼 있었던 것과 다름 없다. 2016년 1월 주중인도대사로 은퇴한 외교관 아쇼크 칸타는 “중국의 도크람 점유와 일련의 대치 상황은 일부에 불과하다. 중국은 적극적인 영유권 주장을 펼칠 것”이라고 말했다. 그는 “중국 측은 부탄 영토를 향하는 도로 건설과는 별개로 이해당사국들의 논의를 거쳐 국경지대를 확정지어야 한다고 주장했다. 이는 2012년 당사국들이 합의한 문서로도 남아있다. 반면 인도는 국경지대를 임의로 설정하려 했을 것”이라고 덧붙였다. 양국 군사대치가 실리구리 회랑까지 이어지고, 중국이 잠페리까지 국경선을 확장한다면 인도 북동부는 고립될 위기에 처하기에 인도에 이 사안은 중대사임에 분명하다. 아쇼크 칸타는 인도 측이 이 사태를 단순한 영토분쟁으로 치부하기 보단 19차 당대회를 앞두고 있는 중국의 정치적 상황까지 고려해 접근할 필요가 있다고 말한다. 중국 공산당이 대내외로 민족주의를 천명한 이 시점에, 시진핑은 그의 정치적 라이벌에게 자신이 오늘날 중국의 가장 강력한 지도자임을 과시하려 할 것이기 때문이다. On July 2015, Indian member of Parliament Shashi Tharoor, speaking at the Oxford Union Debate, made pertinent comments regarding the British. Come to think of it, a point comes up in hindsight as Britain started to retreat in the early 1900s. Elite and small-time politicians in the countries under British rule emulated the British to take hold of the politics in their own countries. British left behind a mess in several countries before it handed over governance to local political parties and their Parliaments. India was amongst these countries. After 70 years, India and Pakistan are still struggling with the border issue of the state of Kashmir that was acceded to India during the partition. The current standoff between the Indian and Chinese army at border tri-junction with Bhutan at Doklam is yet another example of a mess that was left behind by the British. It is alleged that recently Indian troops stepped in to support the Royal Bhutan Army after the Chinese People’s Liberation army refused to stop construction for a road leading into Bhutan. China had claimed that it was the Indian soldiers who crossed the boundary into China and interfered with the construction. The 89-square kilometre Doklam plateau has remained a disputed territory since 1955. According to Neville Maxwell, a retired Australian-British journalist who covered the 1962 war for The Times, “The root of the Doklam standoff is certainly historical”. In an interview with the Indian Express, Maxwell says, “Asked in Parliament, by pre-arrangement, about the alignment of India’s border with Tibet, the (Indian) Prime Minister (Nehru) replied that “the frontier from Bhutan eastwards has been clearly defined by the McMahon Line which was fixed by the Simla Convention of 1914”. Maxwell further elaborates, “Later events and investigation have shown that India’s “McMahon Line” border claim stands only on a “forward policy”, which advanced British India’s NE frontier by about 70 miles in its final decade, an aggressive action given a fake legitimacy by a diplomatic forgery concocted in London by a senior official, Sir Olaf Caroe. It is likely that Nehru was apprised of that background by Caroe himself as soon as he (Nehru) became Prime Minister in 1947. The Chinese government learned of it only years later, when it gained access to the diplomatic records filed in the Potala in Lhasa. That did not affect its basic (Chinese) policy, which was to accept all border alignments as they stood when the PRC first came into existence. 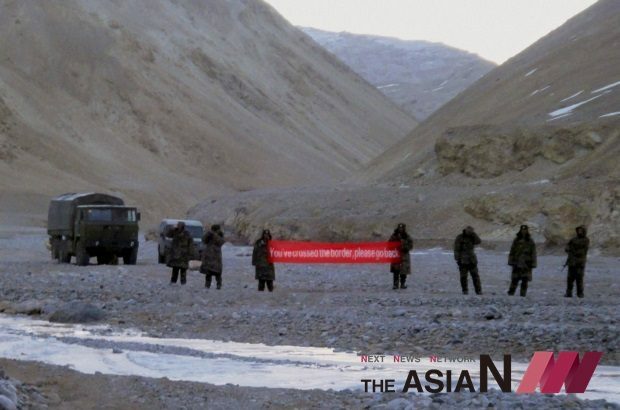 According to Ashok Kantha, the former career diplomat who retired as India’s Ambassador to China in January 2016, “The way I look at it, the Chinese intrusion in Doklam and subsequent standoff is part of a larger pattern. China is pursuing its territorial claims in an assertive and muscular fashion, including claims which are contested or sometimes imagined”. He further said, “For India as well, apart from the fact that the Chinese had intruded into Bhutanese territory and were trying to construct a road, it would have amounted to changing the tri-junction point unilaterally, even though China has committed that the tri-junction would be determined by discussions among the countries concerned, in this case, India, Bhutan and China. There is a written understanding, from 2012, to that effect”. Clearly, this standoff in context to the Siliguri corridor is a matter of serious concern for India. If the Chinese presence extends to the Jampheri ridge, the whole of North East India would be made vulnerable. 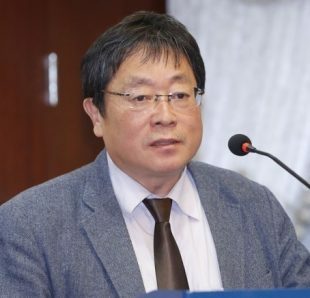 According to Ashok Kantha, India has to look at these developments in the larger context of the upcoming 19th Party Congress in China with nationalism emerging as a major political force domestically and externally; a time when Xi Jinping will try to demonstrate to his political rivals that he stands as the tallest and most powerful leader in China today.